ISSUE presents two generations of artists working between the boundaries of improvisation and composition: saxophonist, composer and improviser Chris Pitsiokos and celebrated musician, composer and installation artist Miya Masaoka. The two artists present new work in solo and duo performance, exploring their varied methods across the spectrum of their unique instrumental research. Chris Pitsiokos premieres compositions incorporating sound recorded at ISSUE Project Room’s 22 Boerum theater in late March, 2017. Specifically addressing the theater’s unique reverberant properties, the works consolidate Pitsiokos’ intensely lyrical musical ethos into the space’s acoustic personality. Amongst these new works is Four Alto (to Anthony Braxton), a piece presented in quadraphonic sound -- spatialized within the drastic listening differences occurring throughout various locations and positions within the theater space. 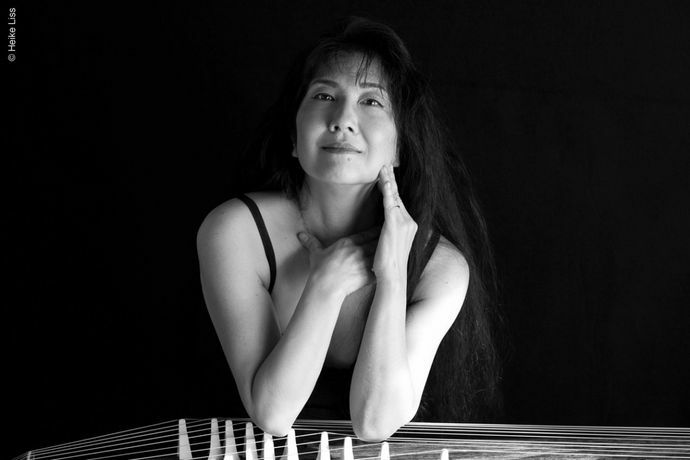 Miya Masaoka also presents new work on the monochord and one string koto, showcasing her “masterful and conceptually restless” performance style that ushers Japanese instrumentation into contemporary contexts. Electronics may or may not be employed. Following, both artists perform a series of collaborative miniatures structured with finite timbral and rhythmic materials. The works function as strategies for new modes of interaction and sonic exploration that seek to showcase, rather than limit, their unique voices and spontaneous aesthetic visions and decisions. In this dialogue, new considerations emerge -- how does one work to expand the field of compositional and instrumental techniques and strategies through abstraction without letting that abstraction work against the power of the personal, the gestural, and the emotive? Chris Pitsiokos (b. 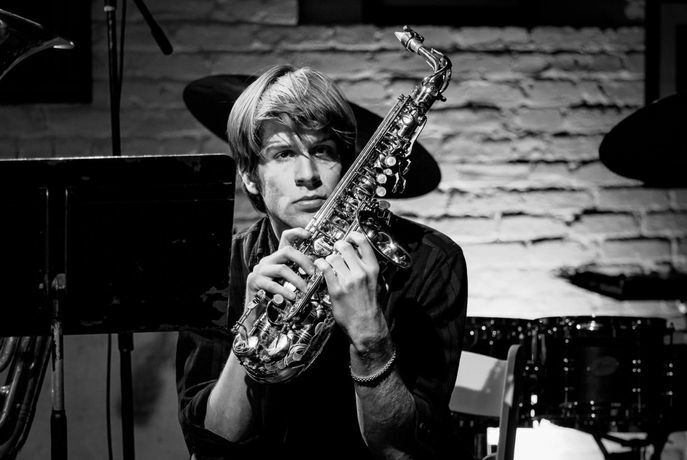 1990) is a saxophonist, composer and improviser. His music combines the intensity and immediacy of extreme rock forms and noise with the lyricism and forward propulsion of jazz and the detail of contemporary classical music. He has had the opportunity to perform and/or record with Lydia Lunch, Tyshawn Sorey, Peter Evans, Kevin Shea, Brian Chase, Henry Kaiser, Mick Barr, Marc Edwards, Brandon Seabrook, Paul Lytton, Tim Dahl, Philip White, Guerilla Toss, C. Spencer Yeh, Nate Wooley, and Weasel Walter. He was in residency at the Stone in November 2016 and is currently in Nate Wooley's Quartet. Chris has performed throughout Japan, Australia, Europe and the USA. In addition to performing and composing music, Chris was a long time DJ at WKCR-FM and has been producing concerts in Brooklyn and Manhattan for four years. Her works have been presented at the Venice Biennale, Park Ave Armory, the Fridman Gallery, Merkin Hall, ICA Pennsylvania, Museum of Contemporary Art, Chicago and many others. Awards include the Doris Duke Award, the Alpert Award, Gerbode, Asian Cultural Council, the MAP Fund, Asian Art Foundation, The Centre for Contemporary Art at Ujazdowski Castle. She has collaborated and worked with many leading artists including Pharoah Sanders, Pauline Oliveros, Toshiko Akiyoshi (Both Oliveros and Akiyoshi have written pieces for her), Ornette Coleman, Steve Coleman, Cecil Taylor, Fred Frith, Christian Wolff, Henry Brandt, Andrew Cyrille, Reggie Workman, Vijay Iyer and Gerry Hemingway, Myra Melford and Zeena Parkins. She has recently recorded a duo recording with Anthony Braxton.